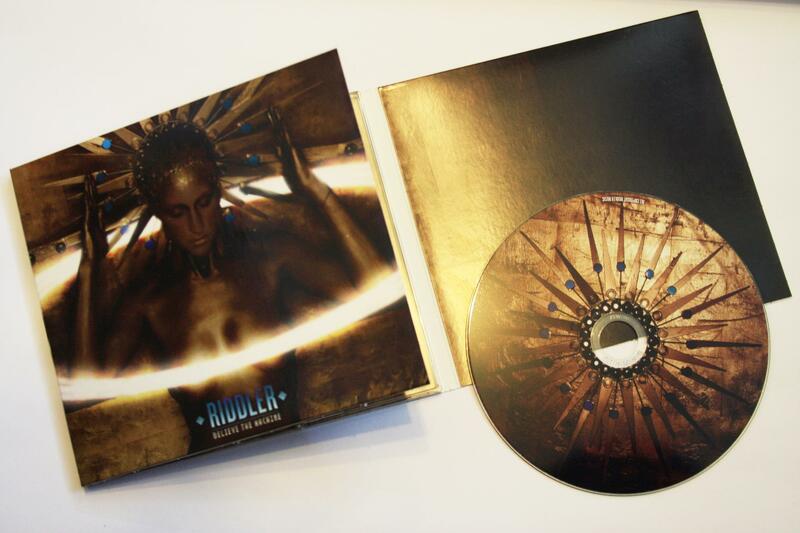 It’s time to feast your eyes on one of YOUR new limited edition Riddler albums . The very first print has arrived on fresh from the press – have… a… LOOK! …and here’s the back. Oooh… Gooooold. Again huge thanks to Rosie Emerson, Patrick Savile, Becky Palmer, Nikki Palmer and Courtenay Pascoe for their huge help on this cover extravaganza. Grab your copy HERE - and if you’ve ordered one already, we’ve OKed everything with the printers. We await the rest . This entry was posted in Album, News and tagged Album, Believe The Machine, Release, Rosie Emerson. Bookmark the permalink.